The mastery of the art of acting – and it is a high art and a noble one – has rarely been displayed with such brilliance as in Sir John Gielgud’s presentation of Shakespeare’s Ages of Man. Universally acknowledged as a member of that tiny band deserving the adjective “great,” Sir John has achieved an altogether new pinnacle with the production recorded here, presented during a tour of the United States in 1958–59. For want of a better term, Sir John’s performance has been called a “one man show,” a description which omits the partnership of William Shakespeare and moreover does Sir John injustice: during the performance he is many men, of many ages and many tempers, and although he appears to be alone on the stage or before the recording microphone, he is in fact surrounded by kings and lovers. And always there is that splendid union of the greatest poet the world has known and one of our greatest actors, meeting in a flashing fusion of dramatic arts. Sir John’s stage is of the simplest – gray curtains, a gray carpet and a small lectern used only to balance the composition; not, in a sense, so very different from Shakespeare’s bare boards at the Globe. The stage he brings to his audience, however, is very different, alive with wisdom, vibrant with emotion, shot with humor and bursting with the living presence of characters imagined by a poet-dramatist born in 1564. It is a genuinely remarkable performance, not only in the splendor of its acting but in its power to roll back the years to that pristine time when the heroes had grace, the kings had majesty and even the villains had stature. “A masterpiece” was the verdict of Brooks Atkinson in the New York Times, and it is an opinion widely held. 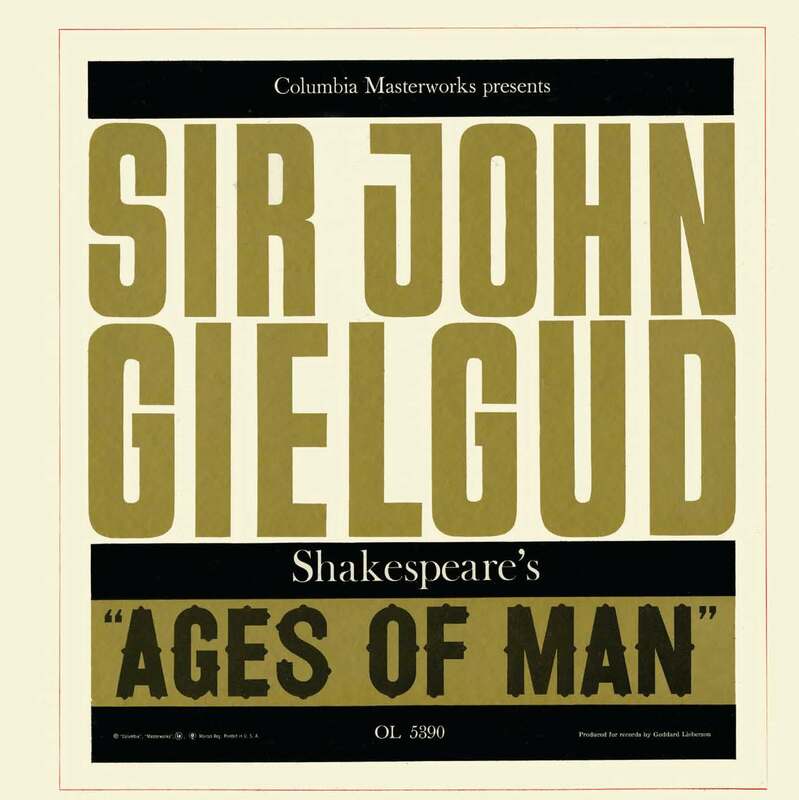 Sir John’s recital of the Ages of Man is an event of extraordinary excitement and importance, and his artistry is luckily preserved in this recording.